The Department of Environment and Natural Resources in Region 7 shares the ultimate plan to deputize people in the communities to help enforce environmental laws especially on the Clean Water and the Ecological Solid Waste Management along the premise of better water quality and sustainable rivers in Bohol. 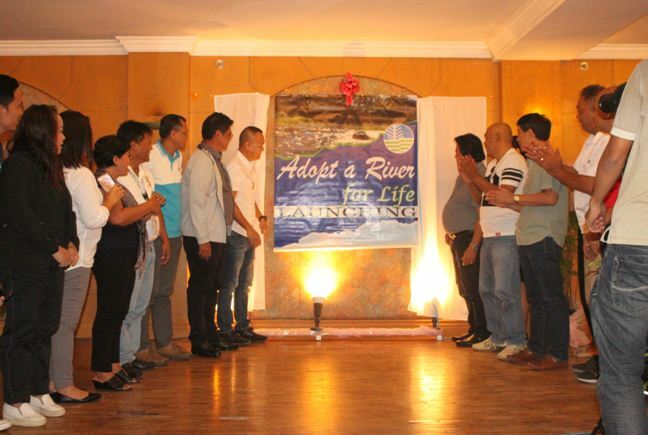 In the ongoing struggle to effect the necessary upgrade in the water quality of the Abatan River as the Provincial Environment and Natural Resources Office entry into the Rivers for Life 2019 award, DENR Regional Executive Director Gilbert Gonzales leaked the plan that would advance community and stakeholder empowerment in the environment advocacy. Rivers for Life or Recognizing Individuals and Institutions towards Vibrant and Enhanced Rivers (RIVERS) for Life (RFL) Awards, is a regional and national competition among ten rivers in Central Visayas which the regional committee has picked owing to their being under the same category. Ten Central Visayas rivers: Batuanon River in Mandaue, Bulacao River in Bulacao and Luyang River in Luyang Carmen, in Cebu, Abatan River in Cortes, Wahig River in Inabanga and Manaba River in Garcia Hernandez in Bohol, Banica River in Valencia, Panam-angan River in Bais and Sicopong River in Santa Catalina in Negros Oriental as well as Señora River in Siqiijor have shown their waters contain coliform contamination but these are below 100 most probable number. The goal is for the stakeholders in the region to help work to upgrade the water quality of these rivers in six months to make them safe for swimming, explains Bohol PENRO Charlie Fabre. And as Bohol prepares for the second round of river clean ups this Friday, March 22, 2019, over 600 volunteers then collected some 2.5 tons of garbage from the stretch of the Abatan River to its estuaries in Cortes. About 10 private organizations have also signed a memorandum of agreement with the DENR formalizing the adoption of several portions of the river where the collected garbage could have come from. But for the volunteers to come and clean up the river in regular intervals is not sustainable, so that the DENR sees deputizing communities to enforce environmental laws as a better alternative. Out to realize what DENR Secretary Roy Cimatu committed during the River Summit that the country would clean up all its rivers, the DENR uses the water quality as a parameter in testing the environment. “All barangays along these rivers will be trained and deputized to enforce all environmental laws, or those which are applicable to the river,” DENR -7 RED Gonzales told the media in a press conference at the MetroCenter Hotel. The move, according to Gonzales is because sustaining the clean-up can be a lot easier if communities help in managing solid waste, regulate the control of effluent discharge, put up the necessary and appropriate treatment of household sewage and the preferential option for fertilers that are less destructive. All of these however entail communities joining in the work as since the solid waste management has been devolved to local governments, several LGUs have failed to set up their own facilities that could contain all the garbage.